Lenore is an Award-Winning Interior Designer. Lenore has 20 years experience updating and upgrading the homes of prominent clients in such communities as Moorestown, Haddonfield, Hammonton, Haddon Heights, Collingswood, Cherry Hill and Mount Laurel. the value and functionality of older homes. The winner of two People’s Choice Awards for design excellence and a Houzz.com service award, Lenore works primarily on the older homes of active and retired executives, CEOs, international business representatives, entrepreneurs and other successful professionals. She makes great communication a top priority when building trusting and confident relationships with her clients, ensuring a thoughtful and well-executed design. Her firm, Lenore Frances Home Interiors, is backed by a team of some of the area’s leading home professionals: architects, painters, millwork specialists, tile experts, installers, cabinet makers, electricians, plumbers, real estate agents, mortgage brokers and other contractors. Lenore is known for her ability to renovate and enlarge rooms, create additional storage solutions, enhance lighting and revive residences in other ways. “I enjoy being a problem solver,” says Lenore. In the process, she often saves clients money by repurposing and reusing the furnishings they already own. And she saves them time and stress by providing design services ranging from project management and space planning to furniture selection and color consultations. 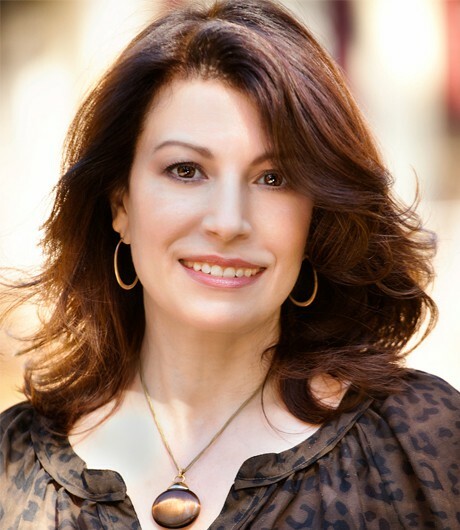 Lenore’s work has been featured in Design NJ magazine and she has assisted with a local production of the TLC program “Trading Spaces.” She earned her interior design degree at Drexel University. A resident of Mt. Laurel, NJ, Lenore has taught a course called “Design Your Perfect Interior” at Burlington County College and gives back to the local community by volunteering at the Teen Challenge Philadelphia Drug & Alcohol Rehab program and participating on the fundraising committee for Samaritan Healthcare & Hospice in Marlton. Lenore learned all facets of residential interior design early in her career, when she worked as a design assistant for a prominent Moorestown design firm. Prior to that, she spent three years serving as a design consultant for Ethan Allen, one of the nation’s premier furniture retailers. That experience provided her with furniture expertise as well as the communication and presentation skills that are so vital to her success today. 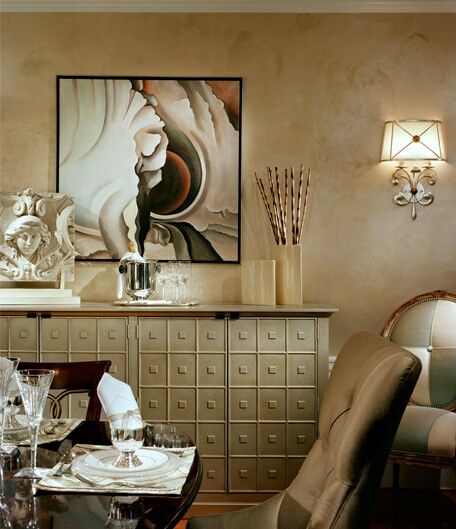 Finding the right designer to work with is a very important step to make your home dreams come true. If you can relate to these problems, and you resonate with the solutions, it would be worth contacting Lenore to schedule a complimentary 15-minute phone interview to see if you are the right fit. I've never worked with a designer before. I've tried to make my home the way I want it on my own, but I am never happy with the result and I have wasted so much time and money. Admitting you need help is the best first step to take. Lenore is really good at deciphering what her clients really want by helping them express their needs and communicate what they like and why. She brings clarity and confidence to ease their decision-making process. I know I need help with my project, but I am intimidated by the thought of someone else taking over and how much it might cost. And, what if I don't like it? Lenore is here to serve and collaborate with you. Great communication will help guarantee a successful outcome. Before getting started, she will come up with a few levels of service at different price points based on the scope of the project. You choose what makes the most sense for you. At presentation, she will present you with the best available options, allowing you an easy atmosphere to make your decisions. She will implement your agreed upon design plan without you having to bother with the details! I think very highly of your design ideas and services. Since I had successfully worked with you before your name immediately came to my mind when we purchased the home we are in now. – they truly gave the house character. Lenore did an excellent job in planning out and redecorating my two bathrooms. They both turned out better than anticipated. She transformed my small guest bath by adding a walk-in shower with built-in bench. It’s amazing. 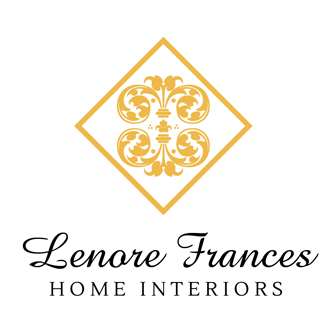 My husband and I recently employed Lenore Frances Home Interiors to help us refresh and refurbish our living and dining rooms. We were extremely pleased with the results and we found Lenore easy to work with throughout the process. She listened to our needs and worked within our budget. Thank you so much for the outstanding services that you provided to us, and my Aunt & Uncle, in completing their house clean-out project. You have met and exceeded our expectations in getting this work done in a timely and professional manner.